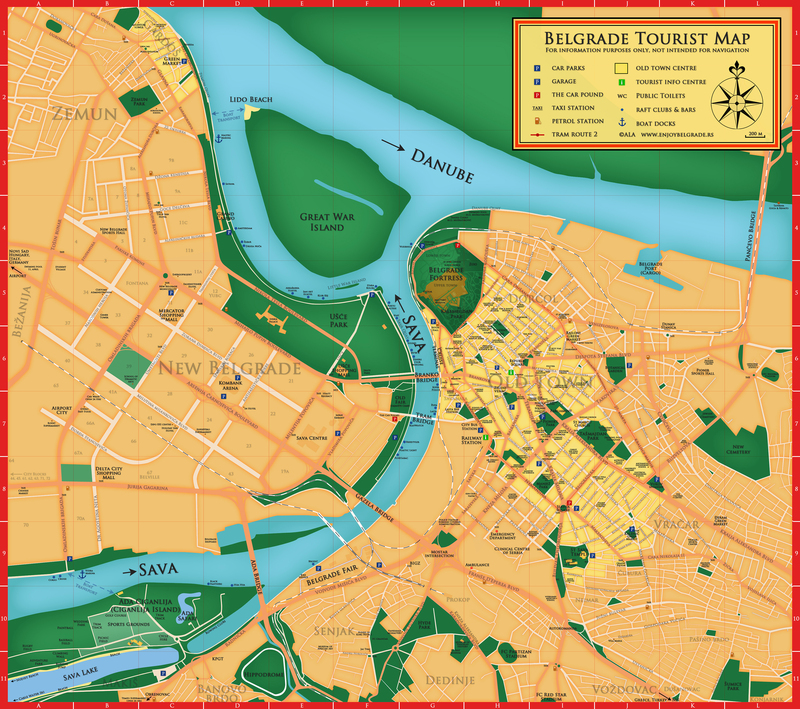 Nightlife in Belgrade begins during the day, with a mental preparation routine better known as gluvarenje or blejanje (gloo-vah-reh-nye & bleh-yah-nye), a local slang for chillaxing, best performed in one of many cafés & bars. 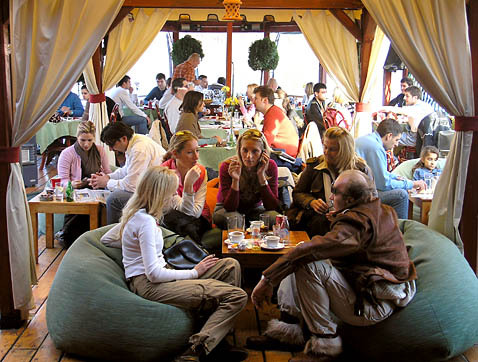 Belgrade cafés are always packed with Belgraders, even during the working hours, which is something of a mystery to the visitors from abroad. Even the scientific community is puzzling over this problem, because the laws of physics are adamant that a body (specifically that of an employed Belgrader or a student) may not be in two places at the same time, and the serious economic situation in the country is further complicating the matter. There is also the famous Strahinjića Bana Street, known as the “Silicon Valley” or the “Aquarium” (riba, literally a fish, being a slang for a girl), and you will love the place if you are itching to parade your new Maserati or if you are a shady businessman looking for a place to close a deal. At any rate, it is not a place where you will see a lonely girl poring over a book. 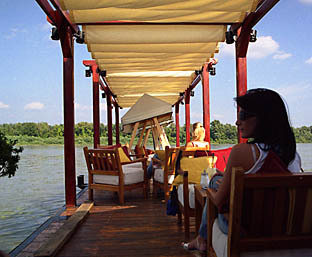 The cafés lining the beaches of Ada Ciganlija Lake are very popular from late June until late September. Most are equipped with sunbeds and loungers for lazing in the sun and mustering strength and energy for a night out. In the evening, cafés are lit by candles and torches, and a complementary blanket will be offered if the night is cold. For those after some action, there are lighted courts for beach volleyball available for hire. Some venues are open throughout the year. Warning: there are no lifeguards at night, and a night swim after several drinks can be truly dangerous. 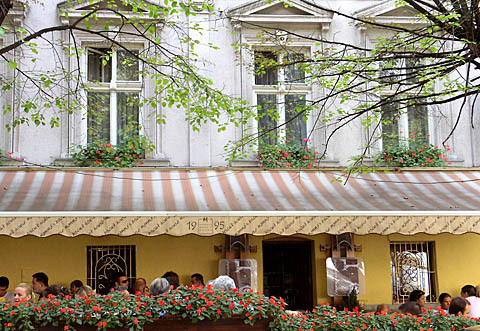 Most Belgrade cafés have pretty much dismissed the traditional strong coffee brew, favouring the espresso machines, and Belgraders usually order a stretched espresso because they like to take time over their drink. The standard espresso does not lend itself to "blejanje". Smoking is allowed in most cafés, and under the applicable laws, venues smaller than 80 square meters may decide to become either fully smoking or non-smoking. 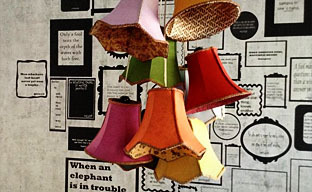 Some cafés have such good vibe that you will not want to go anywhere else. A: Skerlićeva 20, Tel: 2432-405. Open: Mon-Sun 9-24. A place popular with Belgraders who take it easy, dress smart and like to show it. A table is hard to find. 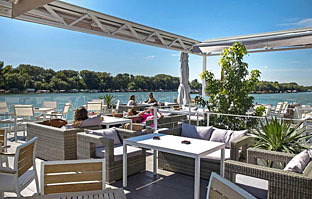 A: Dobračina 5, Tel: 3286-119, www.rakiabar.com. 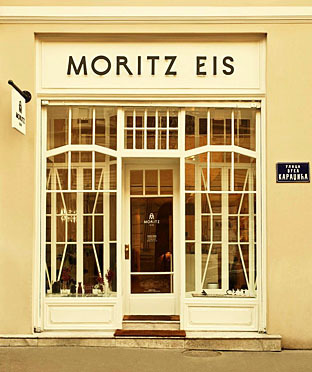 Open: Mon-Sun. 9-24. More than 100 different sorts of Serbian Rakija, each served with a special snack.